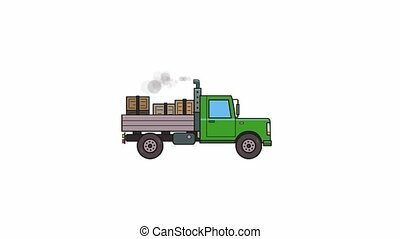 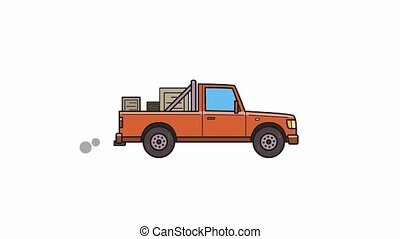 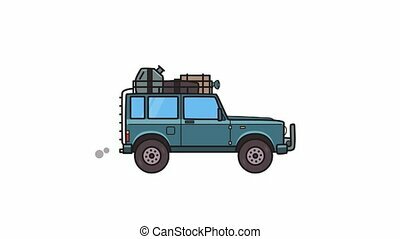 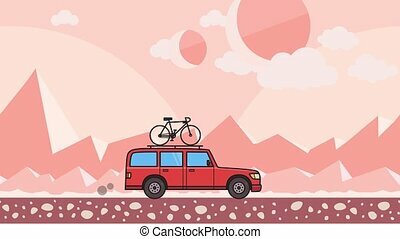 Animated Red Suv Car With Bicycle On The Roof Trunk. 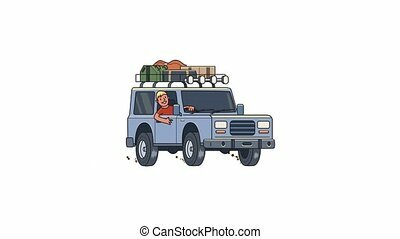 Moving Minivan, Side View. Flat Animation. 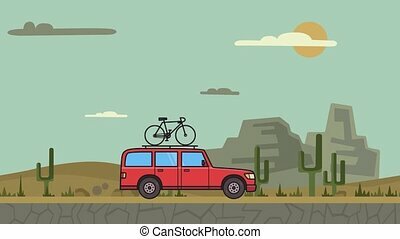 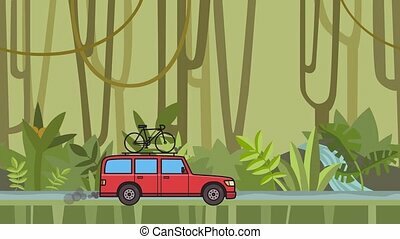 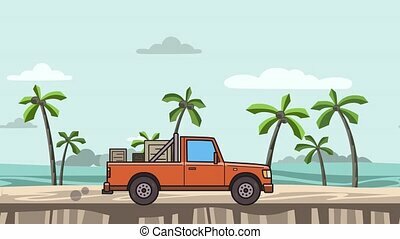 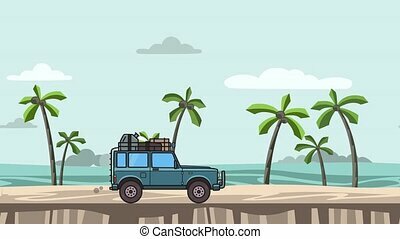 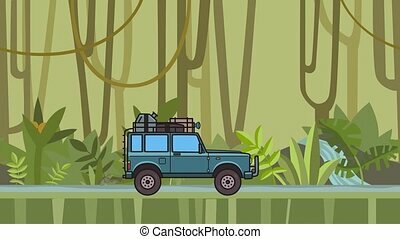 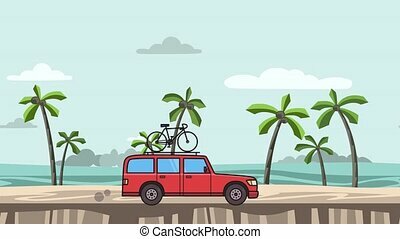 Animated red SUV car with bicycle on the roof trunk riding through canyon desert landscape . 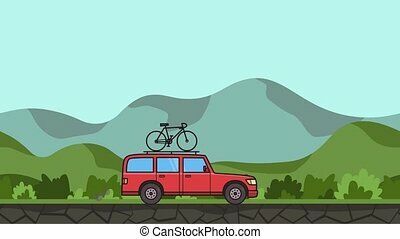 Moving minivan on background. 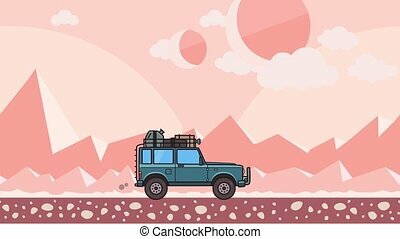 Flat animation.